Chulkhurst Charity. Biddenden, Kent 1975. 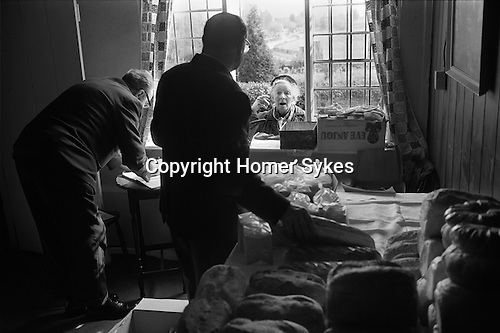 On Easter Monday a loaf of bread, a pound of tea and a pound of cheese is given to qualifying pensioners and the widows of Biddenden.